The Urban Institute for Contemporary Arts builds creative community by fostering new forms of expression, promoting collaboration, and providing genuine experiences with contemporary art. UICA features gallery exhibitions of work from regional, national, and international artists throughout the year. They also host a range of dynamic events including concerts, performances, artist receptions, and gallery talks. UICA’s 195-seat film theater shows independent cinema, international films, and documentaries six days a week. Check out a movie next time you stop by. Photo courtesy of UICA. The UICA began as an organization founded by a group of artists in 1977 and moved into this building in 2011. Unlike many GR museums that blend the old with the new, UICA has no permanent collection-- they only host exhibitions, and artists can apply to have an exhibition here. The eclectic shows feature contemporary artists both local and international, and celebrate design as well as fine art. Hands on at UICA. Photo courtesty of UICA. Live performances. Photo courtesy of UICA. All exhibits at UICA are temporary and rotating. Photo courtesy of UICA. The galleries. Photo courtesy of UICA. Though it's known for its galleries and cinema, the UICA is not just a place to look and watch. 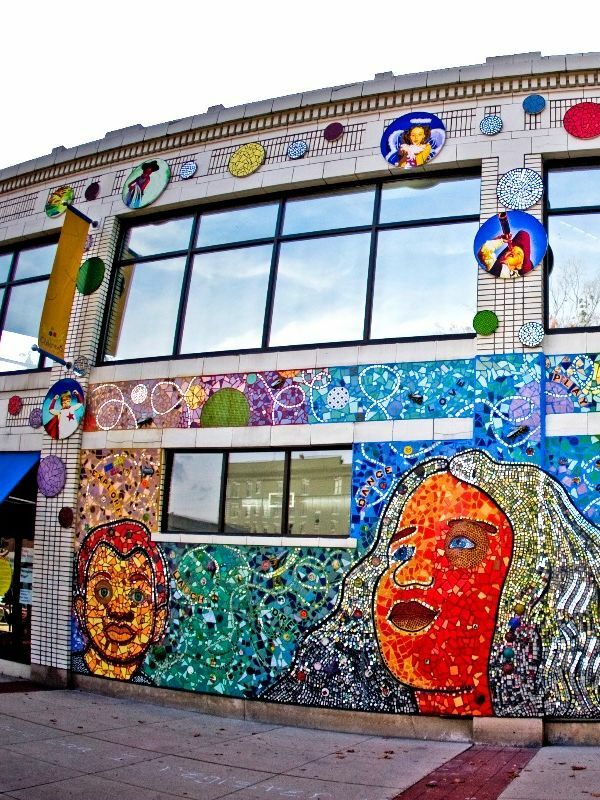 It also includes an "Art Commons" that offers art classes for kids an adults and even an open studio that visitors can use to make their own art. In addition to established artists, their exhibitions highlight work by recent graduates and emerging artists in the local area. In the Studio. Photo courtest of Carbon Stories UICA. Building community through creativity. Photo courtesy of Carbon Stories UICA. The UICA is also part of GR's annual "ArtPrize" event which brings artists from around the world to show their newest work. For the most recent ArtPrize, UICA sponsored three public art projects in three different GR neighborhoods.